Manitoba is a Canadian prairie province. The province, with an area of 649,950 square kilometres (250,900 sq mi), has a largely continental climate, with thousands of lakes and many rivers. Agriculture, mostly concentrated in the fertile southern and western parts of the province, is vital to the provinces economy; other major industries are transportation, manufacturing, mining, forestry, energy, and tourism. Manitobas capital and largest city, Winnipeg, is Canadas eighth-largest Census Metropolitan Area, and home to 60 percent of the population of the province. Winnipeg is the seat of government, home to the Legislative Assembly of Manitoba and the highest court in the jurisdiction, the Manitoba Court of Appeal. Four of the provinces five universities, both of its professional sports teams, and most of its cultural activities are located in Winnipeg. Fur traders first arrived during the late 17th century and Manitoba was the heart of Ruperts Land, owned by the Hudsons Bay Company. 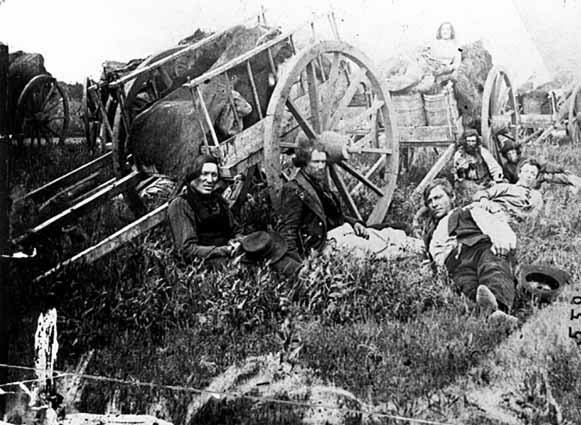 Manitoba became a province of Canada in 1870 after the Red River Rebellion. A general strike took place in Winnipeg in 1919, and the province was hit hard by the Great Depression. This led to the creation of what would become the New Democratic Party of Manitoba, one of the provinces major political parties and currently in power, led by premier Greg Selinger. Manitoba is bordered by the provinces of Ontario to the east and Saskatchewan to the west, the territories of Nunavut and Northwest Territories to the north, and the US states of North Dakota and Minnesota to the south. It adjoins Hudson Bay to the northeast, and is the only prairie province with a salt water coastline. The Churchill port is the only arctic deep-water port in Canada and the shortest shipping route between North America and Asia. Lake Winnipeg is the tenth largest freshwater lake in the world. Hudson Bay is the second largest bay in the world. 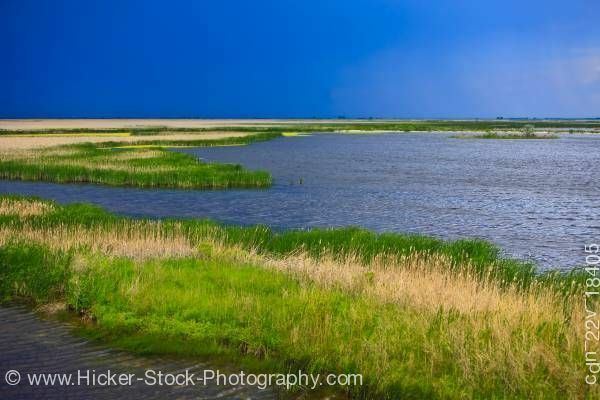 Manitoba is at the heart of the giant Hudson Bay watershed, once known as Ruperts Land. It was a vital area of the Hudsons Bay Company, with many rivers and lakes that provided excellent opportunities for trade. The geographical area of modern-day Manitoba was inhabited by the First Nations people shortly after the last ice age glaciers retreated in the southwest approximately 10,000 years ago; the first exposed land was the Turtle Mountain area. The Ojibwe, Cree, Dene, Sioux, Mandan, and Assiniboine peoples founded settlements, and other tribes entered the area to trade. In Northern Manitoba, quartz was mined to make arrowheads. 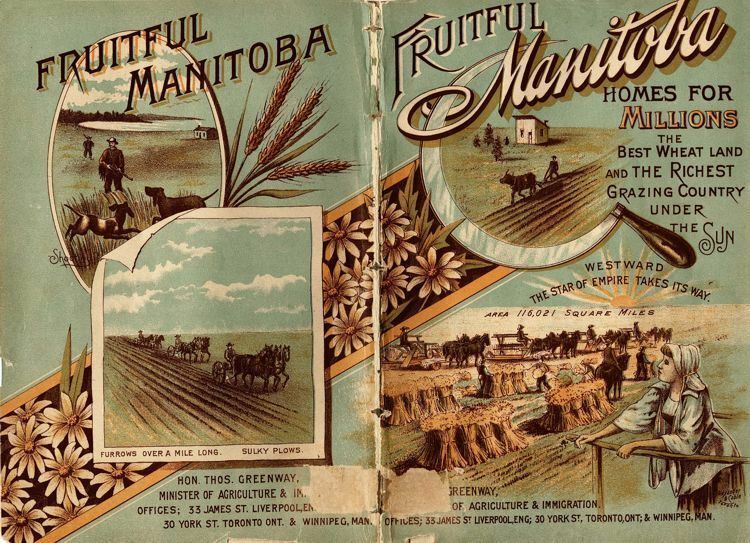 The first farming in Manitoba was along the Red River, where corn and other seed crops were planted before contact with Europeans. In 1611, Henry Hudson was one of the first Europeans to sail into what is now known as Hudson Bay, where he was abandoned by his crew. The first European to reach present-day central and southern Manitoba was Sir Thomas Button, who travelled upstream along the Nelson River to Lake Winnipeg in 1612 in an unsuccessful attempt to find and rescue Hudson. The Nonsuch, a British ship, sailed into Hudson Bay in 1668–1669, becoming the first trading vessel to reach the area; that voyage led to the formation of the Hudsons Bay Company, which was given absolute control of the entire Hudson Bay watershed by the British government. This watershed was named Ruperts Land, after Prince Rupert, who helped to subsidize the Hudsons Bay Company. York Factory was founded in 1684 after the original fort of the Hudsons Bay Company, Fort Nelson (built in 1682), was destroyed by rival French traders. Pierre Gaultier de Varennes, sieur de La Vérendrye, visited the Red River Valley in the 1730s to help open the area for French exploration and trade. As French explorers entered the area, a Montreal-based company, the North West Company, began trading with the Métis. Both the North West Company and the Hudsons Bay Company built fur-trading forts; the two companies competed in southern Manitoba, occasionally resulting in violence, until they merged in 1821 (the Hudsons Bay Company Archives in Winnipeg preserve the history of this era). Great Britain secured the territory in 1763 as a result of their victory over France in the North American theatre of the Seven Years War, better known as the French and Indian War in North America; lasting from 1754 to 1763. The founding of the first agricultural community and settlements in 1812 by Lord Selkirk, north of the area which is now downtown Winnipeg, resulted in conflict between British colonists and the Métis. Twenty colonists, including the governor, and one Métis were killed in the Battle of Seven Oaks in 1816. Thomas Spence attempted to be President of the Republic of Manitobah in 1867, that he and his council named. Manitoba has a moderately strong economy based largely on natural resources. Its Gross Domestic Product was C$50.834 billion in 2008. The provinces economy grew 2.4 percent in 2008, the third consecutive year of growth; in 2009, it neither increased nor decreased. The average individual income in Manitoba in 2006 was C$25,100 (compared to a national average of C$26,500), ranking fifth-highest among the provinces. As of October 2009, Manitobas unemployment rate was 5.8 percent. 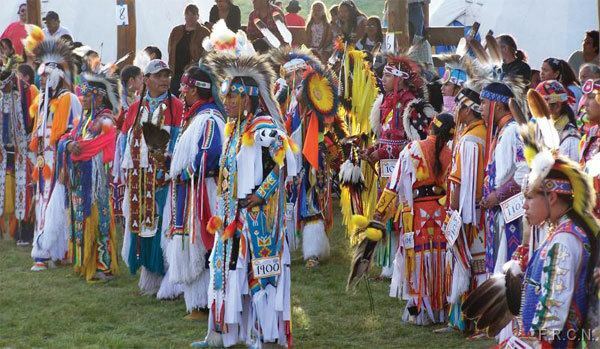 Manitobas culture has been influenced by both traditional (Aboriginal and Métis) and modern Canadian artistic values, as well as by the cultures of its immigrant populations and American neighbours. The Minister of Culture, Heritage, Tourism and Sport is responsible for promoting and, to some extent, financing Manitoban culture. Manitoba is the birthplace of the Red River Jig, a combination of aboriginal pow-wows and European reels that was popular among early settlers. Manitobas traditional music has strong roots in Métis and Aboriginal culture, in particular the old-time fiddling of the Métis. Manitobas cultural scene also incorporates classical European traditions. The Royal Winnipeg Ballet (RWB), based in Winnipeg, is Canadas oldest ballet and the longest continuously operating ballet company in North America; it was granted its royal title in 1953 under Queen Elizabeth II. The Winnipeg Symphony Orchestra (WSO) performs classical music and new compositions at the Centennial Concert Hall. Manitoba Opera, founded in 1969, also performs out of the Centennial Concert Hall. Le Cercle Molière (founded 1925) is the oldest French-language theatre in Canada, and Manitoba Theatre Centre (founded 1958) is Canadas oldest English-language regional theatre. Manitoba Theatre for Young People was the first English-language theatre to win the Canadian Institute of the Arts for Young Audiences Award, and offers plays for children and teenagers as well as a theatre school. The Winnipeg Art Gallery (WAG), Manitobas largest art gallery and the sixth largest in the country, hosts an art school for children; the WAGs permanent collection comprises over twenty thousand works, with a particular emphasis on Manitoban and Canadian art. The 1960s pop group The Guess Who was the first Canadian band to have a No. 1 hit in the United States; Guess Who guitarist Randy Bachman later created Bachman–Turner Overdrive (BTO). Fellow rocker Neil Young played with Stephen Stills in Buffalo Springfield, and again in supergroup Crosby, Stills, Nash & Young. Soft-rock band Crash Test Dummies formed in the late 1980s in Winnipeg and were the 1992 Juno Awards Group of the Year. Manitoba has a strong literary tradition. Manitoban writer Bertram Brooker won the first-ever Governor Generals Award for Fiction in 1936. Cartoonist Lynn Johnston, author of the comic strip For Better or For Worse, was nominated for a Pulitzer Prize and inducted into the Canadian Cartoonist Hall of Fame. Margaret Laurences The Stone Angel and A Jest of God were set in Manawaka, a fictional town representing Neepawa; the latter title won the Governor Generals Award in 1966. Carol Shields won both the Governor Generals Award and the Pulitzer Prize for The Stone Diaries. Gabrielle Roy, a Franco-Manitoban writer, won the Governor Generals Award three times. A quote from her writings is featured on the Canadian $20 bill. Festivals take place throughout the province, with the largest centred in Winnipeg. The inaugural Winnipeg Folk Festival was held in 1974 as a one-time celebration to mark Winnipeg’s 100th anniversary. 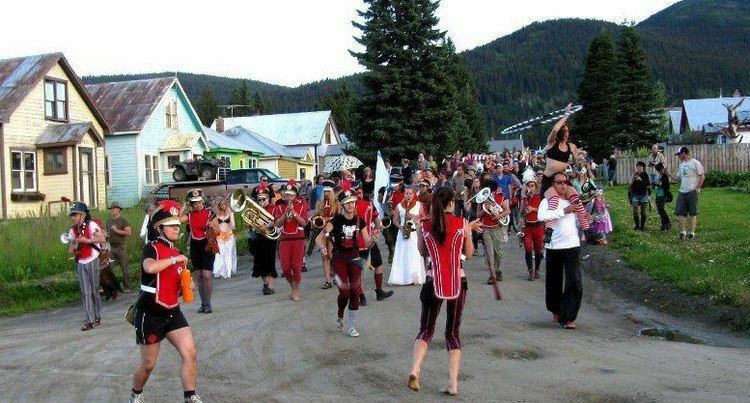 Today, the five-day festival is one of the largest folk festivals in North America with over 70 acts from around the world and an annual attendance that exceeds 80,000. The Winnipeg Folk Festival’s home – Birds Hill Provincial Park – is located 34 kilometres outside of Winnipeg and for the five days of the festival, it becomes Manitoba’s third largest "city." The Festival du Voyageur is an annual ten-day event held in Winnipegs French Quarter, and is Western Canadas largest winter festival. It celebrates Canadas fur-trading past and French-Canadian heritage and culture. Folklorama, a multicultural festival run by the Folk Arts Council, receives around 400,000 pavilion visits each year, of which about thirty percent are from non-Winnipeg residents. The Winnipeg Fringe Theatre Festival is an annual alternative theatre festival, the second-largest festival of its kind in North America (after the Edmonton International Fringe Festival). 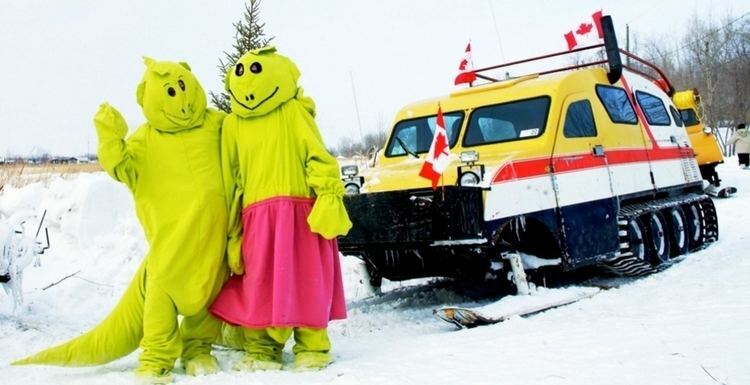 Manitoban museums document different aspects of the provinces heritage. The Manitoba Museum is the largest museum in Manitoba and focuses on Manitoban history from prehistory to the 1920s. The full-size replica of the Nonsuch is the museums showcase piece. The Manitoba Childrens Museum at The Forks presents exhibits for children. There are two museums dedicated to the native flora and fauna of Manitoba: the Living Prairie Museum, a tall grass prairie preserve featuring 160 species of grasses and wildflowers, and FortWhyte Alive, a park encompassing prairie, lake, forest and wetland habitats, home to a large herd of bison. The Canadian Fossil Discovery Centre houses the largest collection of marine reptile fossils in Canada. Other museums feature the history of aviation, marine transport, and railways in the area. The Canadian Museum for Human Rights will on completion be the first Canadian national museum outside of the National Capital Region.